•	The credit score and risk measurement for the customer is the same for everyone but the actual customer payment behavior is not the same for each user of the bureau data. •	Small and mid-sized companies and many global businesses don’t have bureau credit scores thus requiring manual reviews. •	Bureau data is expensive. The objective of this study is to show how a company’s unique tolerance for risk (definition of bad – 60, 90, 180 day delinquency, etc.) 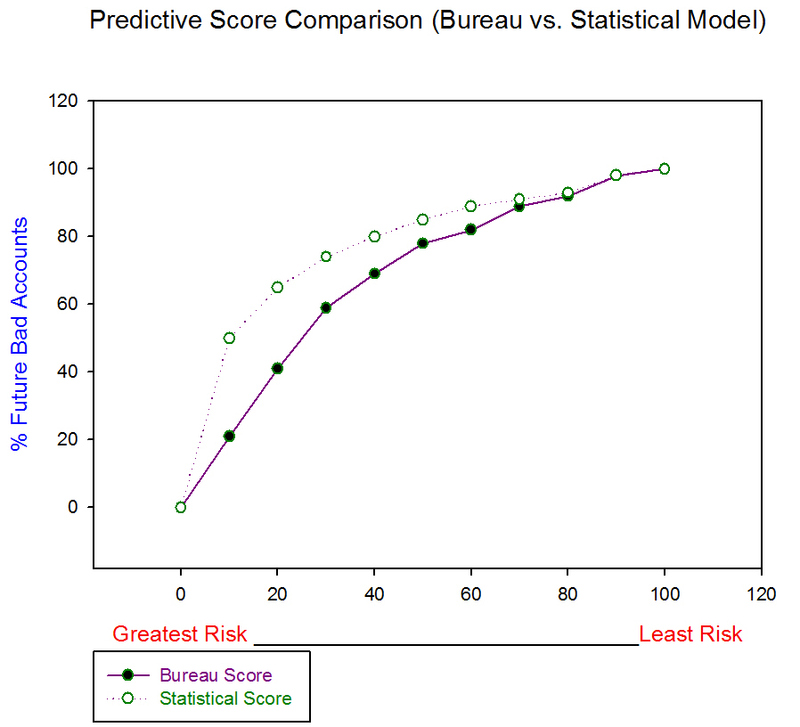 and a statistical model are used to better prioritize who these higher risk customers are. The benefit from this effort is a more effective risked based collection strategy. The statistical scoring model produces a risk probability which is used to derive the account’s cash as risk measure. These measures are then used to allocate collection resources not only in terms of when collect efforts start but also in terms of how the account is treated. For the worst accounts, the statistical scoring method captured about 90% more of the bad customers than the bureau scores.